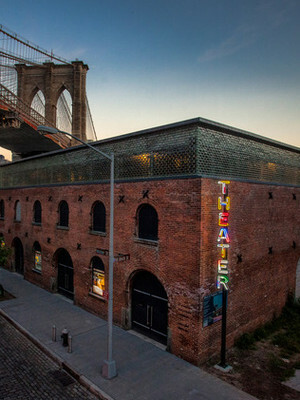 Opened in Fall 2015, Tobacco Warehouse is the permanent the home of avant-garde theatre group St. Ann's Warehouse. Sitting in the shadow of the Brooklyn Bridge, the pre-civil war structure underwent a $31.6 million, 2-year renovation, and now boasts a 10,000 foot square performance area and seating for 700 people. Please note: The term Tobacco Warehouse as well as all associated graphics, logos, and/or other trademarks, tradenames or copyrights are the property of the Tobacco Warehouse and are used herein for factual descriptive purposes only. We are in no way associated with or authorized by the Tobacco Warehouse and neither that entity nor any of its affiliates have licensed or endorsed us to sell tickets, goods and or services in conjunction with their events.